Thom’s Thought Transmissions: What do you care about? On a whim, and as a special ‘last column of the year’ gift, I decided to ask some people on the Corellian Run Radio Facebook chat to give me some questions to give my personal unabridged opinion on. And it turns out it can give great insight to my own views! So, order up; reader questions! To continue reading Thom’s Thought Transmissions, click below! Philip: Can you corrupt all companions, or only Vette? Hey girl, wanna explore the Dark Side with me? The first part of the answer to this question, is ‘yes, only Vette can be corrupted.’ The second part is ‘which is sad.’ This was one of the strong points to the Knights of the Old Republic companion mechanic; several could be corrupted to the Dark Side if you yourself were going that way, and some could be redeemed if you were Light Side. This was even more profound in The Sith Lords, where it was possible to train your companions into becoming Sith or Jedi depending on your alignment. Star Wars: The Old Republic is sadly missing these features. The second one is understandable; companions provide a specific support role to your character. You get a ranged and melee damage dealer, a ranged and melee tank, and two healers (the second one being your ship’s droid). 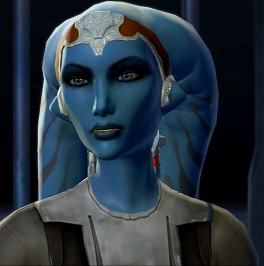 If you suddenly were to train Vette as a Sith, she could only become a Sith Sorcerer so she can keep fulfilling her supposed role; ranged damage dealer. But the corruption part is a totally different story. Maybe it will be possible in the future, to corrupt and redeem companion characters. As an Assassin myself, I could see Ashara Zavros as a corruptible companion, and perhaps Andronikos Revel as the redeemable. In their cases it would make the romance option a lot easier also. I do understand that it will never be possible to redeem Khem Val. But who in their right mind would want that? His evilness is part of his charm. Joey: Is it wrong if a player playing a Jedi plays like a jerk, because he is a Jedi? But to say that it feels more wrong to see a Jedi teabagging your corpse after you pulled that one mob extra you could not handle, than a Bounty Hunter? Maybe. But personally, I would not be looking at the class but at the player responsible for that action. He is being the jerk, not the Jedi or other character they just happen to be playing. On an RP server, that might perhaps be different again; then the player pretends to actually be that character, which basically means that it is the character that is responsible for the action and not the player. 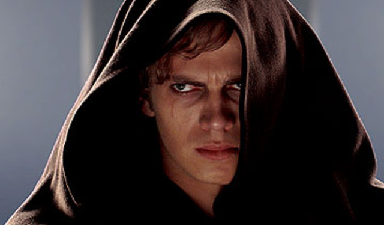 So, when you see a Jedi being a jerk on an RP server, they are probably playing it as a Dark Jedi. Someone who wants to watch the world burn. Philip: Why do Sith Cookies taste better than Jedi Cake? Or, why are many people rolling Empire over Republic characters? There might be many reasons for it, but the most obvious one would be ‘to be the bad guy’. Personally, I wanted to play Republic, as I am a sucker for the good guys and I am a goody-two-shoes in real life (my Sith vs Jedi score on our podcast’s quiz is somewhere around +20…) but alas, the friends I wanted to play with decided to go Empire and I followed suit. In general though, because people have to be all sugar, spice and everything nice in the real world, once inside a game they can live out some deep-rooted fantasy; be the true knight in shining armor, or be the douche bag that goes around killing people for the heck of it. Psychologists, eat your heart out. What might also be pertinent, is the fact that it is a lot easier to write the bad guy than the good guy. With a good person, you are much more bound by strict rules such as the Jedi Code, and therefore a writer lacks freedom to write specific story lines because it would never fit such a character. The bad guy can be bad in multiple ways; murder, deceit, douchebaggery, you name it. I personally think this is where The Old Republic shines, as there is a wide array of choices, many leading to the ‘gray side of the Force.’ Basically, left free to choose any way you like, you can write a lot more possibilities than just being purely good and purely bad. That said, playing someone that might one day rule a large sprawling empire as a megalomaniac usually attracts much more attention than the lonesome knight in shining armor. Will the new year bring lots of good to the Galaxy as we know it? 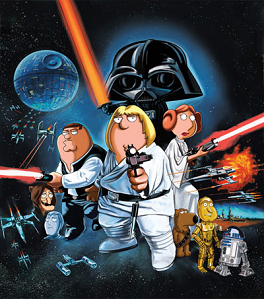 Thanks for reading again, I hope you all have a splendid New Years Eve, and may the Force be with you throughout 2012! Very informative, and well written. I had no idea of the limitations on influencing your companions, and frankly I am a bit dissapointed in them. But as you said, it makes sense from a developer point-of-view. Good article, Thom. I was just thinking today that I probably won’t be using Ashara much, as she already hates me and it’s going to get worse. 🙂 Fortunately, I tend to use Khem more anyway, so it works out.